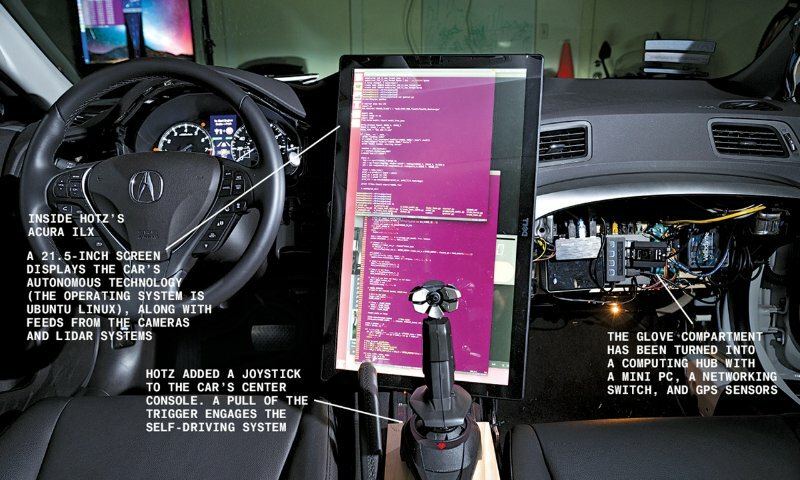 The First Person to Hack the iPhone Built a Self-Driving Car. In His Garage. 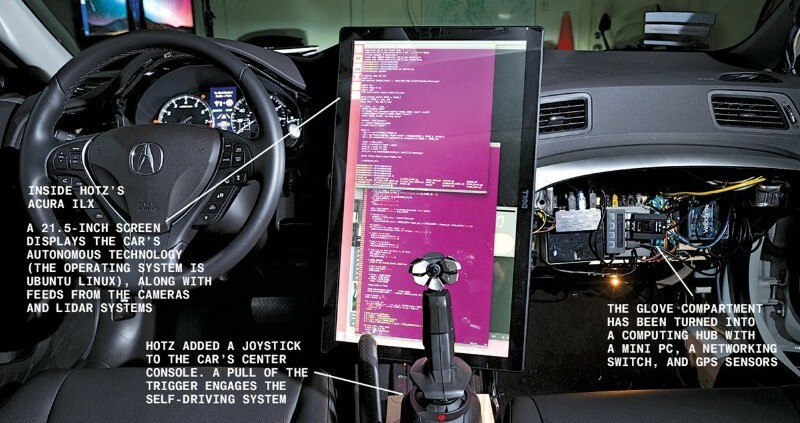 Using Artificial Intelligence software and consumer-grade cameras – that have become good enough to allow a clever tinkerer to create a low-cost self-driving system for just about any car. That tinkerer and hacker is George Hotz. The technology he is building represents an end run on much more expensive systems being designed by Google, Uber, the major automakers, and, if persistent rumors and numerous news reports are true, Apple.